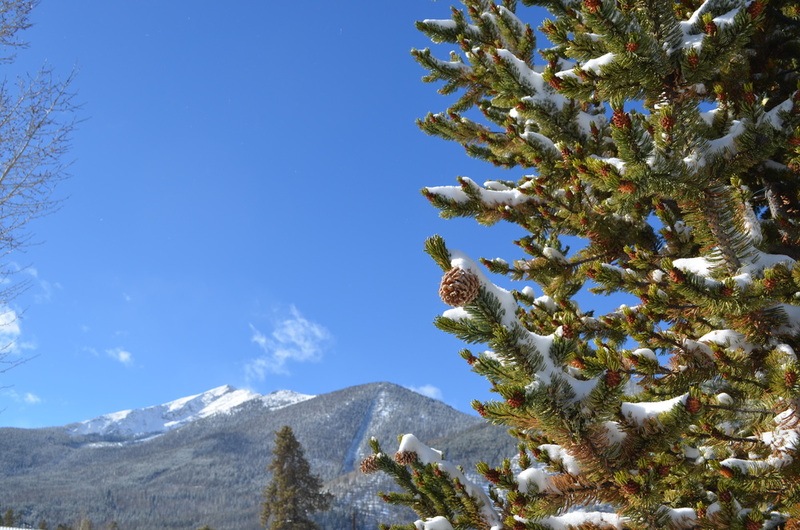 BRECKENRIDGE, Colo. – February, 2015 – Fifty-four hours, dozens of people, hundreds of great ideas and 60 seconds, all for the opportunity to change your life and start something amazing, meaningful or just downright cool. Winners of that first Startup Weekend Kyle DeFrew, Lindsay Balgooyen and Dan Balgooyen have launched their idea — Gr8tful Giveback – to connect corporations and business contributors to nonprofits and charities. Their goal is to revolutionize cause marketing. Summit County Startup Weekend starts at 6:30 p.m. Friday, April 10 and runs through 9 p.m. Sunday, April 12 in Frisco at ELEVATE coSPACE and Evo3 Workspace. Visit summitstartup.org for more information. We all know focus is hard. Especially when you’re running a small business or start-up and wearing every hat around. You need to bring in all the revenue you can, show evidence of every bit of traction you have and be consistently growing your customer base. So when you hear that it’s important to choose a niche place in your market or only market to a very specific type of customer, it sounds backwards. In fact it sounds like the exact opposite of what you should be doing. Why in the world would you limit your options – why would you focus – at the very time you’re supposed to be doing anything and everything possible to increase revenue and bring in more people? Why? Because it works. For a small business, especially one just starting out, focusing on a niche market or one ideal customer type is one of the best things you can do to achieve your growth goals. Imagine a customer who is faced with a myriad of businesses, including yours, that could all solve her problem. They all look the same to her, so her decision ends up being a coin flip and she randomly chooses one. You have no control over whether or not she chooses your business. What’s the result? She’ll probably gets her problem solved, but it won’t be a memorable exchange for her or for the business she chooses. Even worse, the next time she’s looking for the same service it’ll again be a coin flip. Why does it go back to random chance? Because she chose a generic solution, she didn’t have a particularly memorable experience the first time around and she won’t build any loyalty to that business. She may not even remember choosing it. Her coin flip choice didn’t provide her or the business with any long-term utility. And that business is left in the same place it was before she came along – hoping to win enough coin flips every month to meet revenue goals. Do you really want the success of your business dependent on a series of coin flips? And if you’re a match – if she’s your perfect customer – she’ll connect with that right away and have no choice but to choose you. After all, she sees right away that you understand her. That you know her. And because she’s your perfect customer, her experience with you will be positive and memorable. You’ll do your best work, because she’s the kind of person you most like working with. And she’ll be thrilled with the result, because your best work is always really great. She’ll probably even send her friends and family to you. Congratulations! You’ve gained a loyal customer and taken your control back. No more coin flips for you. Sometimes, though, because you’ve shared exactly with whom you work best, you won’t be a match and she’ll choose someone else. When you’re a small business or a start-up you don’t need to be – shouldn’t be – everything to everyone. You just have to the right solution for your right people, and scream that from the rooftops often enough to make sure they know you. Because if they know you – if you’ve done enough work on focus to allow your perfect people to immediately find you – they’ll never even consider the coin flip. 1. Rank your current customers on a scale of 1-10, with 1 being your least favorite and 10 your favorite customers. What characteristics do your 8, 9 and 10 customers share? That’s a good starting point to understand what type of customer helps you show up your best – and that’s half the battle of figuring out who you should be working with. 2. Think about the customers who rave about you and your business the most, the ones who leave positive reviews and already send their friends and family to you. What common characteristics do they share? These are probably the people you serve the best so it’s important to understand if there’s a commonality among them. Not sure what characteristics to consider? Here are a few to get you started. 6. What changed for her as a result of working with you? 7. What was her motivation to seek out your business? *Bonus Tip: While the basic demographics are usually the easiest to determine, it’s the answers to the deeper psychological questions that will usually help her connect with you. Michelle Warner built and led a successful seven-figure social venture and had a hand in many other start-up endeavors before shifting her focus to mentoring creative entrepreneurs in April 2014. She helps makers and doers of all kinds transform their big ideas into actual businesses through a deft combination of smart strategy and inspired action. Michelle holds an MBA from the University of Chicago and is an ardent believer that good business is, in fact, a combination of art and science. You can reach her at michelle@thestrategystudios.com. 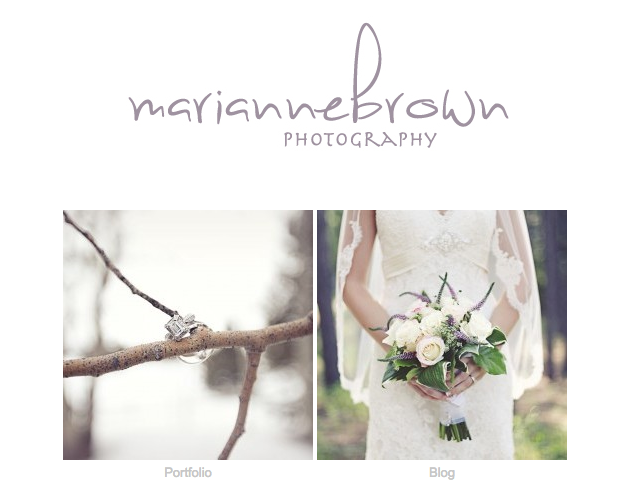 There’s a soft, whimsical touch to Marianne Brown’s photos … and to her life. Born on a farm in Georgia, her love of the outdoors brought her to Colorado after graduating with an art degree in photography. As she talks about her photography business, her food blog she and her sister started and her Etsy shop, there’s a glint of her Southern soft drawl but there’s something more. Look in her eyes. It’s there – the grit and determination of a serial entrepreneur who worked hard and journeyed far to create her own luck. We sat down with Marianne at her new office space, ELEVATE coSPACE, to find out more about who she is, why she’s driven to create and why she’s chosen to live, work and play in Frisco, Colorado. How & why did you start your own business? That wedding led to others and still others and now Marianne shoots weddings in Colorado, Utah, Georgia, Costa Rica, the Bahamas and elsewhere around the country. She’s expanded into newborn photography and other photography that captures special moments. And, hasn’t lost sight of the fine art. She’s planning a trip to the desert this spring to shoot on film, again. Then, there’s the challenge of too many opportunities or choices. “I shoot continuously,” she says in talking about her photography. “Those in between moments are natural and candid. I end up with so many more pictures to review/edit. I need to work on this – to narrow down and be more selective.” She could also be talking about her life. Marianne just bought a winter fat tire bike. “The reason why I moved from Georgia was this romanticized version of the Wild West – I like to ski and bike. Since I moved to Denver, I haven’t mountain biked. I’ve wanted to do it for four years. I always had … excuses, excuses, excuses. “Quit making excuses,” she says. Now, you can find her on the snow-packed trails with her brand-new, gleaming winter fat tire mountain bike. No more excuses. Like many others, Marianne was drawn to the concept of coworking. It was an affordable way for her to get her own dedicated working space. She works upstairs at a dedicated desk. But, she was also inspired by the creative open-air space of ELEVATE, along with the creative energy of the space and community. At moments, I feel like I’m exactly where I’m supposed to be. Then I think I could be doing more. “Try not to worry about it,” she says. “I had a lot of worry and anxiety about society’s expectations. For now, Marianne is doing what feels right – skiing, mountain biking for the first time and capturing those special moments in others’ lives and creating new special moments in her own life, as well. When it comes to networking, Maureen Kanwischer has this advice for you – Don’t listen to your mother: Talk to strangers. Keep your goal in sight. Remember that the purpose of networking is to network – not to sell. How many times have you left a networking event and said to yourself: “Well, that was a waste of time! I didn’t sell anything!” By reminding yourself that you’re there to increase your pool of contacts you won’t be disappointed when you don’t make a sale. Your goal is to build relationships and foster trust. Be genuine. Since you’re networking to build relationships, you want to meet each new acquaintance with a genuine interest to learn more about that person, offer to help where you can and, perhaps, have intent to meet again to further develop that relationship. You are creating a network – people who may become clients. But more importantly, you’re there to build relationships. Be authentic in your desire to get to know them. Make it easy for people to know you, like you and trust you. Cat got your tongue? If you find it difficult to strike up a conversation, first, introduce yourself, then use a few open ended questions to advance the dialogue. Questions like: “How did you get started in your business?” or “What do you enjoy most about your work?” or “How long have you been in the business?” will allow for an uncomplicated exchange and will lead to a friendly sharing of information about each other. But remember that loose lips really do sink ships. After you ask your question, shut up and listen! It’s not all about the numbers. The key is quality; not quantity. Your objective isn’t to fill your pocket with new business cards. You want to gain a few quality new associations for which you can enhance your network. Follow up is important. Whether you agree to meet again over coffee or forward a referral to your new network partner – do what you say you are going to do. And, do it in a timely manner. Location, location, location. Network in the right places. Be sure to utilize those precious networking hours to the best advantage. Chose your networking events judiciously by mixing with others who have similar customers or industries. After all, if you’re hunting for zebras, you want to go where zebras hang out! Add some sparkle. Sometimes it helps to be memorable. Perhaps you can wear a colorful scarf or tie or a unique piece of jewelry while you are networking. It helps people make a visual reference to you and can act as a conversation starter. Be prepared. Carry business cards and make them easily accessible. There’s nothing worse than asking for someone’s card and then having to wait for them to dig thorough their purse searching for a card. When you receive a card, read it like you have never seen a business card before – it honors your new found networker. Business networking is making things happen for other people so that they’ll make things happen for you … in that order (most people get it backwards)! Just remember to be genuinely interested in others’ businesses and provide ideas for how you can help them succeed. That’s relationship building and the key to successful networking. Visit Momentum Business Consulting at www.momentumbc.com and schedule a free consultation with her to discuss your small business challenges. Coworking is on the rise in mountain towns around the country. To help skiers and snowboarders work and play in the mountains, nine mountain-town coworking spaces have joined together to form the Mountain Coworking Alliance. The CUBE, a coworking space, business accelerator and incubator in Reno, Nevada, is the latest to the join the MCA, a collective that provides free reciprocal coworking days at coworking spaces near Jackson Hole, Vail, Aspen, North Lake Tahoe, South Lake Tahoe, Park City, Durango, Breckenridge and now Reno. “Collaboration and networking are the fundamental building blocks an effective ecosystem that can meet the rapidly changing demands of today’s innovators and entrepreneurs. The CUBE is excited to join the Mountain Coworking Alliance and we look forward to sharing our expertise in fostering the creation, development and growth of new businesses with other MCA members,” says Eric D. Madison, executive director, The CUBE. “It was only natural for the coworking phenomenon to reach mountain towns, and now we’re really seeing an explosion of people coming to the mountains to play and also wanting a place to get work done. The rise in coworking spaces in ski towns in Tahoe, Colorado and Jackson Hole is giving people an opportunity to have affordable, collaborative and productive spaces to work while living or visiting the mountains.” says Megan Michelson, co-founder Tahoe Mill Collective, located at Alpine Meadows, California. To take advantage of the two free reciprocal days, workers must have a membership at their home coworking space and must contact the visiting coworking space at least a week in advance to make arrangements and provide verification of membership. Space is offered pending availability. BLOG: The Heart & Soul of ELEVATE coSPACE is You. Our Community. For many of us, we can live wherever we choose. We’ve lived in New York City, San Francisco, China, France, Denver and Boulder but we deliberately choose Summit County, in the heart of the Colorado Rockies, as the place we call home. As John Muir once wrote, “the mountains are calling and I must go.” We’re lucky. When the mountains call us for a powder day in the winter or a hike in July, we can go. We can walk outside our doors of ELEVATE and breathe the fresh mountain air and reset ourselves. Then, we step back inside to this … an inspiring shared workspace that seems to bring the outdoors in. ELEVATE coSPACE is filled with energy, driven visionaries and go-getters that inspire us to do even better work and be more productive. But, it’s so much more than the fresh air, the world-class skiing, the mountain biking, the sailing, the hiking, the views, the stunning coworking space. It really comes down to the people. Our community is amazing. True, we’re diverse and different. But, it’s not what you do but who you are. We’re a group of trail blazers who aren’t just climbing for the individual glory but who are helping to bushwhack a new path, guide others along and share their successes and stumbles along the way. We’ve always loved our little mountain town of Frisco but now we have dozens more reasons to love and celebrate it every day. So, thanks Holly, Kathryn, Ciara and the hundreds of community members and supporters. You are the heart and soul of ELEVATE coSPACE.